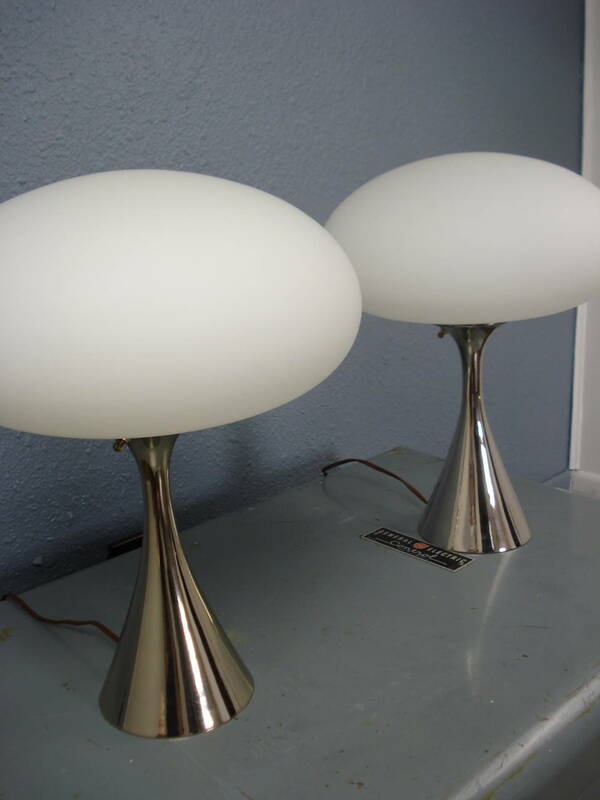 Pair of Laurel Mushroom Lamps, 2015. At Erik G. Warner Decorative Salvage we are continually looking for new avenues through which to offer our vintage mid-century and modern items. While we’ve been using Etsy for some time to offer small items, we did not have an online method for sales that we could manage that dealt with the shipping of large items, like our furniture. And then we stumbled upon Chairish. Chairish started a number of years ago as a way individuals could move higher-end used furniture without running it through Craigslist. Chairish curates the items its sells, so a certainly quality level has to be met. Over the years, Chairish has shifted focus and brought on professional dealers in housewares and furniture along with individuals. The great thing about Chairish is that it helps arrange shipping of large items for sellers. Buyers pay for white-glove service, which means that the shippers come in and wrap the item being purchased and transport it carefully to its delivery location. For a small business like ours, this is a huge help, so we’ve signed on with Chairish, in addition to our other sales avenues. Check out the items we currently have available on Chairish. If you have any questions, please feel free to contact us directly at warner (dot) erikg (at) gmail (dot) com. Update (December 13, 2015) – After giving Chairish a whirl, we have found it isn’t the venue for us, so if you click the Chairish link, you’re not likely to find anything there. Please do check our Etsy Shop, stop in at MidModMen+friends in St. Paul, MN, or contact us directly.